Contacts - How to Locate Us? Formerly Known as "HeartBeat Trading"
Should you have any questions or feedback, please don't hesitate to let us know by filling up the below form. Your valuable feedback is appreciated and IMPORTANT for us to improve even more. We will get back to you in 24 hours. Thanks. Use this contact if you want to give us feedback about HeartBeat. Suggestions are always welcome. No. 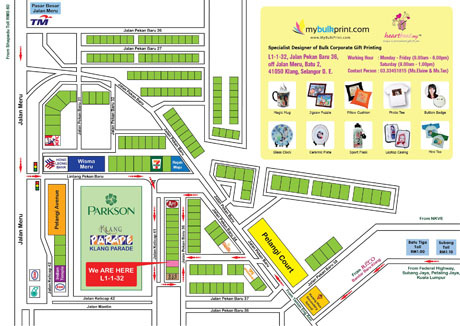 30, First Floor, Jalan Tiara 4, Bandar Baru Klang, 41150 Klang, Selangor D.E. Or click the map below to enlarge the location map.